Lakshmi is the Goddess of wealth and prosperity, both material and spiritual. The word ''Lakshmi'' is derived from the Sanskrit word Laksme, meaning "goal." 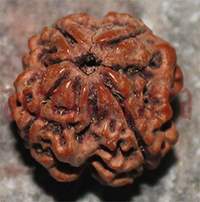 Lakshmi, therefore, represents the goal of life, which includes worldly as well as spiritual prosperity. In Hindu mythology, Goddess Lakshmi, also called Shri, is the divine spouse of Lord Vishnu and the Goddess of wealth and fortune. In the vedas, she called Sri. Goddes Lakshmi indicates prosperity. 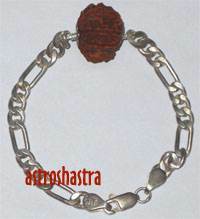 Worhip of Lakshmi indicates an appreciation of prosperity and a sense of responsibility towards it. 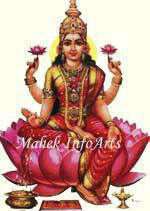 Depicted an extremely beautiful woman, Lakshmi stands on a lotus. She has lotuses in various stages of bloom in her two hands. And even wears a lotus garland. The golden coins falling on the ground from the front left hand of Lakshmi illustrate that She provides wealth and prosperity to Her devotees. Her front right hand is shown bestowing blessings upon the devotees. To go hand in hand with Lord Vishnu's act of maintenance and protection, Goddesses Lakshmi is the possessor of every form of wealth. She is the possessor of great beauty and is depicted in standing as well as in the seated postures. She is however always seen on a lotus. In her hands she holds two lotuses. You must perform this homam when you are facing financial difficulties and wish to earn wealth in abundance. For improvement in Financials and also for recovery of dues, which are said to bestow different benefits to the performer of this homa.